Eradicating fires…. and UAVs? This has been the buzz these past few weeks as a several hobby drones disrupted firefighting operations during a wildfire in California. Unfortunately, this is the antithesis of how commercial unmanned aerial vehicles are designed to fit into emergency response scenarios. With additional wildfires recently affecting Montana, Washington and northern California, not to mention an increase in drone sightings dangerously close to airports and commercial airliners, the massive benefit of commercial UAVs in data-intensive sectors such as agriculture and insurance, is slowly being overshadowed by these irresponsible users. The use of hobby drones near wildfire sites is prohibited by the FAA because beyond the danger of crippling containment efforts, there is also a risk of collision with manned aircrafts at the scene -- an issue that paves the way to a bigger question: how can we successfully integrate drones into one of the world’s busiest airspaces? 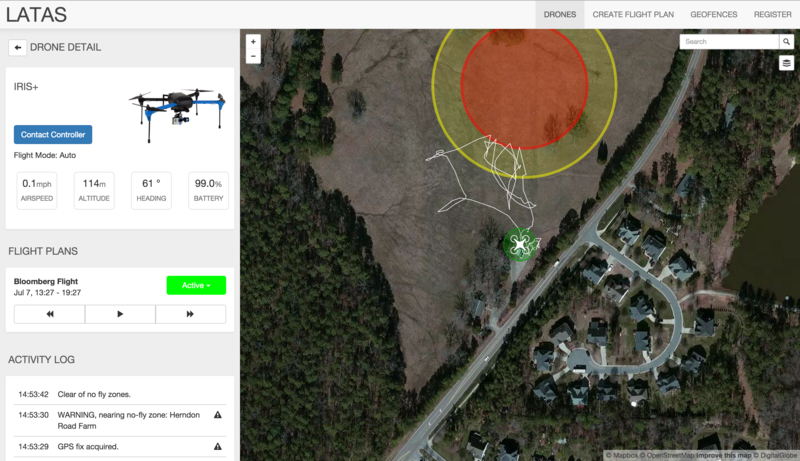 In light of recent events, Senator Charles Schumer is calling for a geo-fencing software that will deliberately prevent drones from operating in restricted areas. At present, this type of software technology is already being developed by several players including Google, NASA, Amazon, Verizon and PrecisionHawk. At PrecisionHawk, our work around developing LATAS (Low Altitude Traffic & Airspace Service) as a framework for safe management and communication of UAVs with ground and air obstacles has exposed us to unique scenarios that clearly outline the need to build a traffic management system for the skies. Whether UAVs operate commercially or otherwise, in order for this industry to move forward and capture its potential, we understand the need to implement safe and reliable services for users. Because drones fly in very low altitudes, current radar technologies and ADS-b reporting systems, used by manned aircrafts, are unable to efficiently track and locate them. However, in the same way ADS-b systems are built, LATAS offers the same level of real-time tracking, management and avoidance features for large scale integration. Integration that can scale between commercial jets, manned aircrafts carrying emergency responders, cropdusters, and UAVs for scouting and news-gathering, without the risk of collision. In a real world setting, a UAV that is connected to LATAS services will be able to plan and log their flights in real time. In cases where a drone somehow ends up near a danger zone, the operator will receive a warning prompting him to change course ensuring that UAV operators are flying safely. A universal framework to guide the operation of UAV platforms is essential to their wide-spread adoption on a commercial scale. At PrecisionHawk, our ultimate end goal is for unmanned aerial vehicles to empower, not deter. And our work with LATAS, and through the Pathfinder program, offers solutions and hard data to regulators so they can also support increased UAV operations.